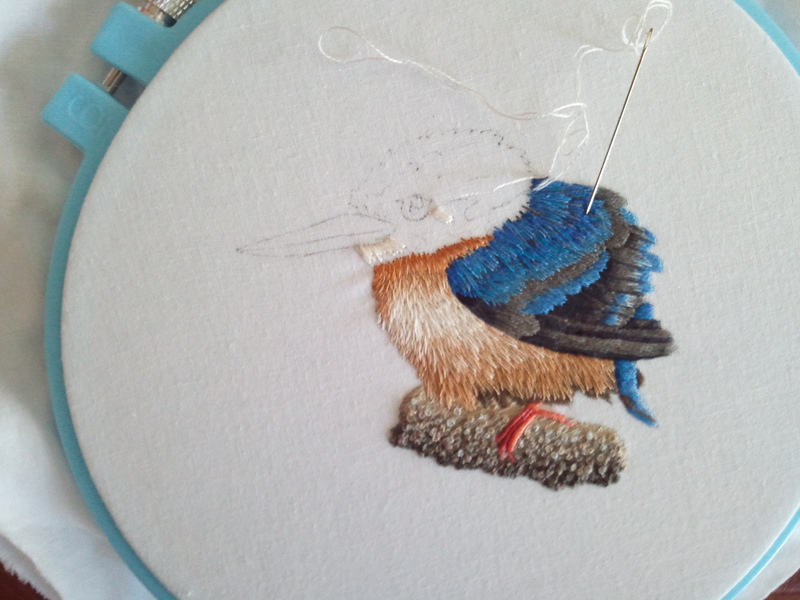 Slowly but surely, the kingfisher is coming along. Blazing fast progress! Actually, I set this little guy down for a while, but now that I’ve gotten back to him, he’s proceeding apace. The breast feathers have been a learning experience. 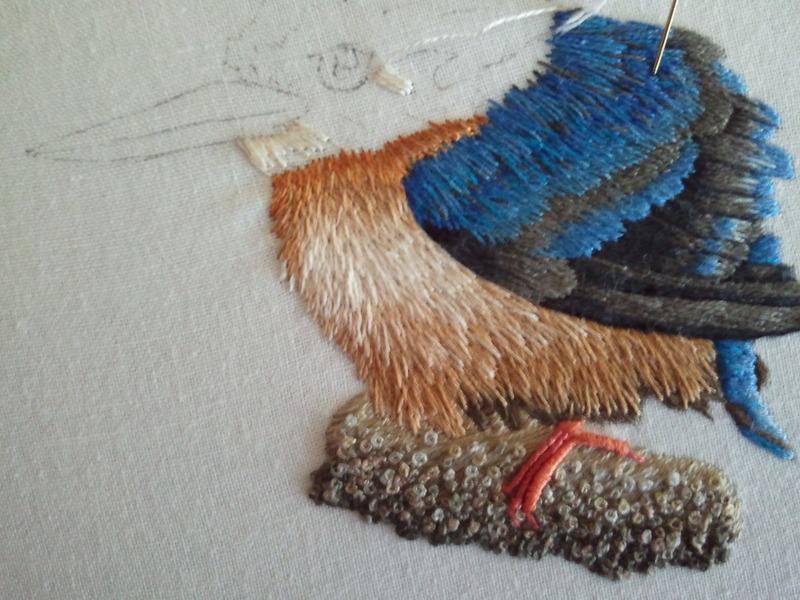 The way these feathers are worked is by slowly blending a series of colors, going back and forth to pull the stitches of one color into the previous color so that the feathers blend. The hardest part of this for me has been loosening up with the stitches so that they overlap each other, making the feathers look fluffy, rather than smoothly blended together (which is what I usually aspire to with long and short stitch.) I started at the bottom of the breast feathers, and I can see a noticeable difference between the blending close to his feet and that further up by his neck. I’m pleased at the difference in texture between his wing feathers and his breast feathers. While he continues to be fun, next up are some birds in a completely different style. Less realism, more ribbons. This entry was posted in Other people's designs and tagged birds, blue, embroidery, fluff, kingfisher, needlepainting, surface embroidery, trish burr by Rene. Bookmark the permalink. Wow! The work you’re doing is really impressive. Looks fantastic! Thanks, Caine! I feel like I’m learning a lot from this project, which is definitely nice.